You are currently browsing the tag archive for the ‘landslide on gasing hill’ tag. Sivan Temple landslide on Bukit Gasing: View from New Pantai Expressway / Kg.Pantai Dalam; Kuala Lumpur. The Sivan Temple landslide is getting worse due to inaction by MBPJ. Will the temple wall collapse, bringing the whole temple structure down? 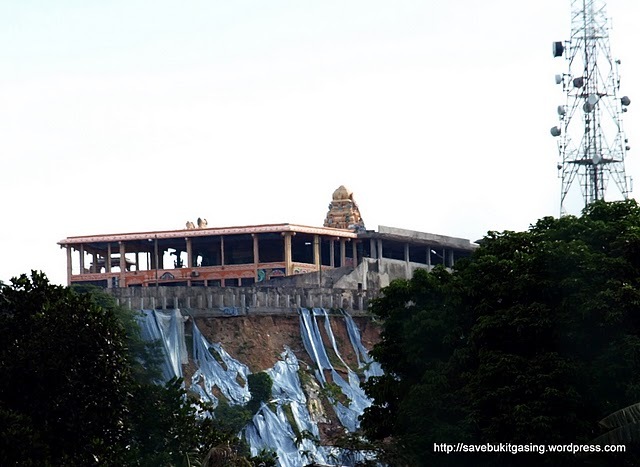 To makes matters worse, the Sivan Temple has been re-opened to devotees recently.